Homeowners’ liability insurance is an issue in many personal injury cases. Clearly, a huge percentage of personal injury cases are traditional automobile accidents covered by automobile insurance. Yet, many other claims involve different types of events triggering homeowners’ coverage. Our firm is currently handling several different types of injury cases where this coverage is available for our injured clients. What is one source of injury that is frequently addressed by homeowners’ coverage? Dog bites and animal attacks. Most of us know the old saying, some dogs are more bark than bite. Think about that small neighborhood dog that never seems to stay quiet. That dog may be harmless. But, other dogs can cause very serious and permanent injuries. Too often, the victims are children. Over the years, we’ve helped clients who suffered dog bite injuries so severe they even required plastic surgery. 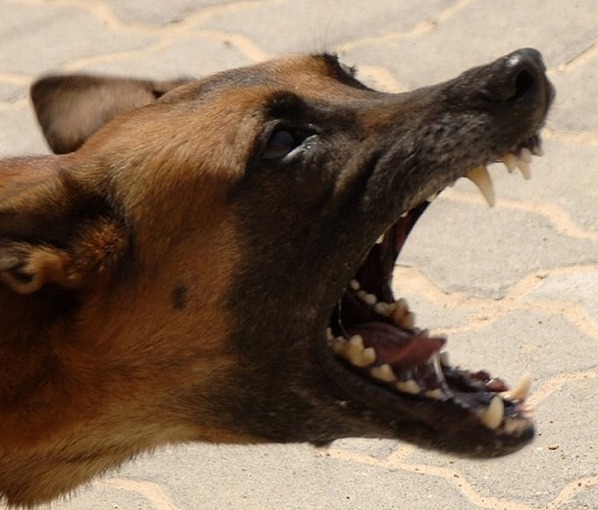 I’m not surprised dog bites are a frequent source of homeowners’ liability claims. Recent insurance statistics revealed that dog bites cost the insurance industry over $700 Million in 2017, alone. These statistics also show dog bites represent 1/3 of all homeowners’ claims paid. That’s a tremendous share of the total claims dollars considering that homeowners’ insurance covers a wide variety of different accidents and injuries. If you want another interesting statistic on dog bits, think about postal workers! Many postal route workers have a story or two about a neighborhood dog. Well, the U.S. 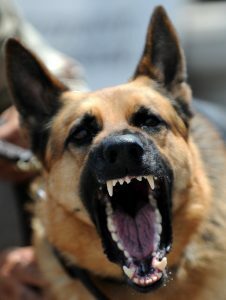 Postal Service recently released statistics on the number of employees attacked by dogs nationwide. In 2017, alone, dogs attacked over 6,200 postal workers. The postal study also includes data on the cities where the most postal workers suffered attacks. It’s an interesting read. Good to know that none of the worst cities are in Alabama! Alabama Governor Kay Ivey recently signed a new law imposing felony criminal penalties on the owners of dangerous dogs in some situations. The new law is called Emily’s Law in memory of Emily Colvin. She was killed by dogs outside her home in Jackson County last year. State Senator Steve Livingston sponsored the legislation. In March, Al.com published a story about Emily and the new law which you can read here. For more information on the specifics of the new law, Huntsville defense law firm Lanier Ford (which represents many insurance companies) recently posted a summary of the felony penalties in the new law on its website. It’s a good summary of the new law and worth a read. Obtain the names and addresses of the dog owner and all witnesses to the attack. Get the names! You will need to identify the dog and its owners for any later claim. Plus, in any personal injury case, witnesses tend to be lost with time. That makes the early identification of witnesses crucial to any injury claim. Report the animal and attack to local animal control authorities. In Huntsville and northern Alabama around our office, local authorities will often take steps to investigate the incident and animal. Take photographs of your injuries. Photographs are a very important piece of evidence showing the severity of the initial injuries as well as any permanent scarring. Most important — Seek the medical care you need to recover. In all personal injury cases, our firm philosophy centers around the client first seeking the medical care needed to heal. Your treatment and recovery is much more important than any personal injury claim. Dog bite injuries are serious. Hopefully, you will never face this problem. If you do, it is important to understand the practical steps so you can focus on your health and healing. And, it’s encouraging that Alabama lawmakers are discussing ways to make our neighborhoods safer for all families. At the Blackwell Law Firm, we specialize in personal injury cases. Our philosophy centers around the client. We believe in preparing all our cases fully in an effort to obtain the maximum compensation for our clients’ injuries and damages. We are happy to answer questions. Consultations are always free and confidential.